Speed Graphics and Steam 1957! Click here to DOWNLOAD A FREE PDF SAMPLE OF SPEED GRAPHICS AND STEAM 1957! This 192-page hardcover is the definitive chronicle of the 1957 trips to Ontario by photographers John Rehor, Don Wood and Herb Harwood. The limited-edition volume is packed with 300 photographs—plus maps, time tables and illustrations. Speed Graphics and Steam 1957! is Ian Wilson’s first hardcover railway book in eight years. All other such releases—save three—sold out their press runs shortly after publication, then commanded premium prices on the collector’s market. With only one exception (Steam at Allandale, which took almost nine years to convince us), we don’t reprint our hardcovers. For all-out frenzy, zeal and excellence, John Rehor, Don Wood and Herb Harwood stood unsurpassed. 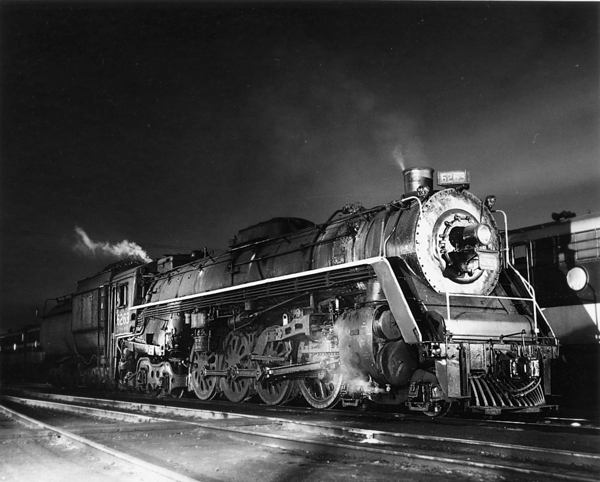 By 1957, photographers from the United States were flocking to Canada to document the twilight of steam in Ontario. 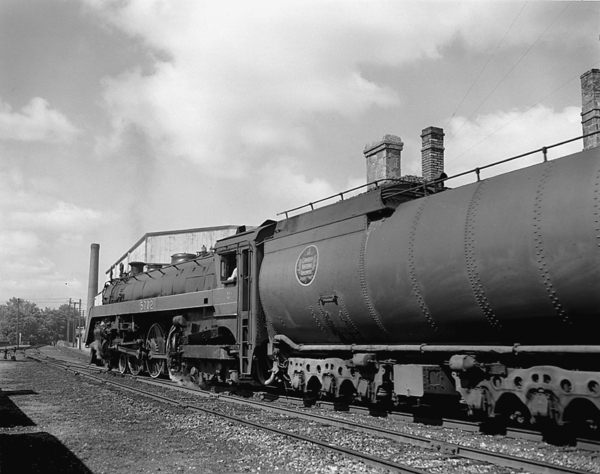 But Rehor, Wood and Harwood packed professional cameras—and adopted ambitious strategies to seek out remaining steam locomotives. They forged their itineraries based upon inside intelligence. You’ll reap the benefits of their leaving nothing to chance in Speed Graphics and Steam 1957! John Rehor telephoned dispatchers to learn of locomotive assignments on specific trains. 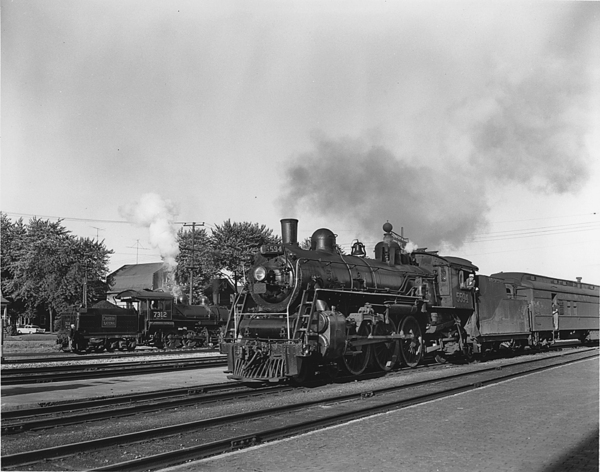 For instance, that the CNR Owen Sound way freight only drew a steam locomotive every two weeks! 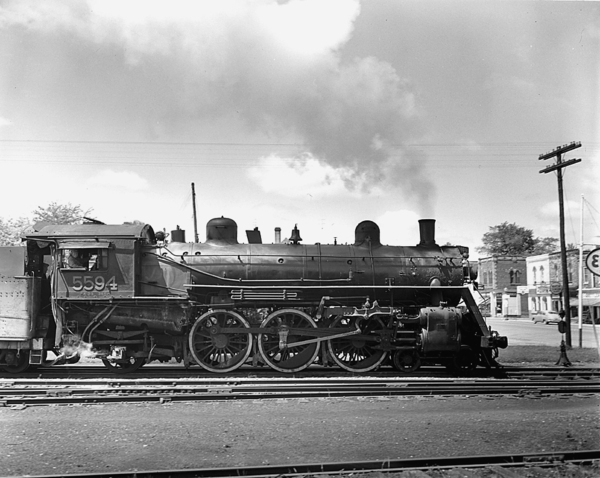 Or that the steam-powered CPR mixed trains out of Orangeville would be terminated mid-timetable—on August 3, 1957. Rehor, Wood and Harwood sacrificed sleep, food and comfort to record a soon-to-be-gone era of railway history. But that’s all to your gain! Their exertions, their investments of time and resources, their painstaking loading and exposing of film, pay off in the copy of Speed Graphics and Steam 1957! you’ll hold in your hands. The artistry of the photographers in encounters with CNR and CPR steam-powered trains along branchlines and secondary mainlines will take your breath away. For steam fans, it was a gut-wrenching decade over which diesel locomotives conquered the mainlines and branchlines of the continent. Were you standing at a reclamation yard watching men with acetylene torches dismember a steam locomotive in a blaze of sparks, feeling the thuds through your feet as chunks of boiler, cab, pipes, wheels, frame—even bells and whistles—land on the ground, you’d be moved to tears. You’d be heartbroken at the cruel but correct business decision of scrapping every steam locomotive in sight. 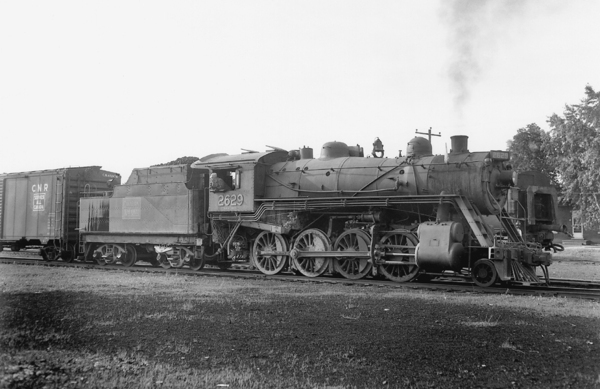 It’s been years since the agonizing death struggle of the North American steam locomotive. Still, you hunger to explore the era when this most graceful of man’s contrivance populated every railway mainline and branchline. Were it the 1950s, you could enjoy an escape of your choosing, to railway lines where steam locomotives run. Wouldn’t you love a chance to revisit the steam era? You now have an opportunity to book passage on the most wondrous trip a steam railfan could take—into the past. Imagine slipping back through decades of time! Without leaving the armchair in your den—or that special room in your house devoted to trains. You can make that happen by ordering your personal copy of Speed Graphics and Steam 1957! Just think of it! A chronicle, in your hands, of the photographic work of Rehor, Wood and Harwood during the unforgettable summer of 1957. Joining them as they cruise Ontario, eyes scanning the horizon for coal smoke or wisps of steam. Elm trees, country roads and Ten Wheelers dime-a-dozen! 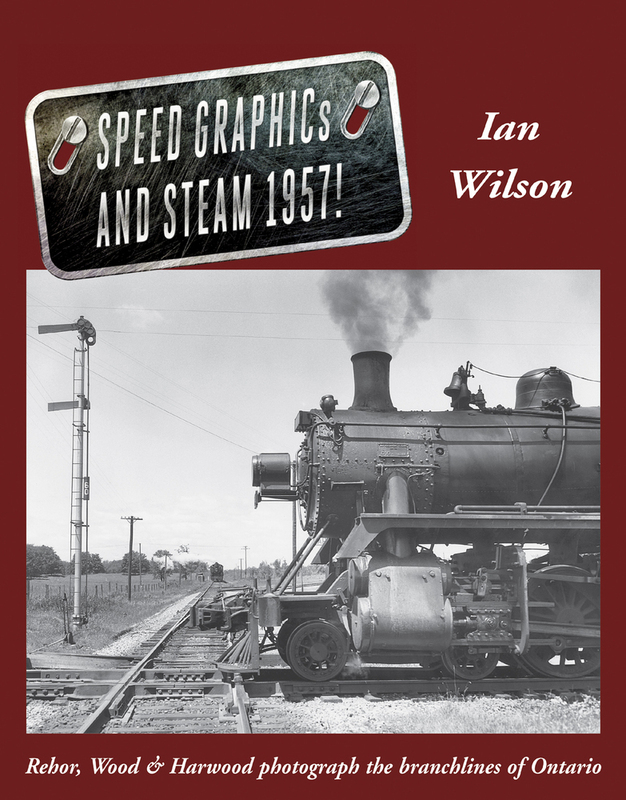 Order your copy of Speed Graphics and Steam 1957! now, so you’ll assure yourself of the opportunity to sink into that long-lost summer every time you turn a page. Reading Speed Graphics and Steam 1957! will be like journeying to Ontario and beholding the glory of steam operations firsthand. You’ll absorb a world of the past while soaking up the pages. The bygone era will become real to you. And you won’t want to put the book down—it will absorb you long into the night! Can you imagine that? Experiencing the steam locomotives, the trains, the rolling stock, the coaling plants, the water tanks, the stations, the roundhouses—the whole setting no longer present in today’s world—through the pages of a book. In Speed Graphics and Steam 1957! the past lives! It’s a place you’ll wish to linger—and revisit. You’ll want to set your copy down in a handy spot, so you can take the journey again. Time after time, you’ll pull the volume from your shelf, settle back and escape to the steam railway branchlines of Ontario. But only if you order your personal copy of this limited-edition hardcover! You’ve embarked on getaways before—travelled to distant places. And you know that requires advance planning and packing. This ticket to adventure, though—this order for your personal copy of Speed Graphics and Steam 1957!—promises an exciting journey without hassles or logistics to bog you down! And when that anticipated day arrives—when your postal carrier hands you a package containing your signed copy—you’ll drop everything and absorb yourself in the wonder of a trip to the railway branchlines of Ontario during 1957. Your journey will start in the early pages of Speed Graphics and Steam 1957! There will be a spray of crisp images of steam locomotives against a rural landscape—an advance look through the lens of Herb Harwood. 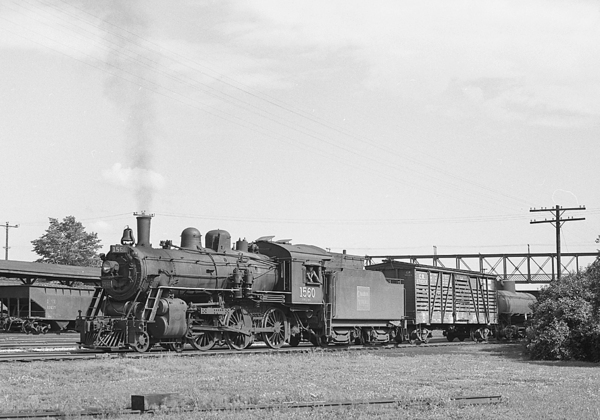 You’ll join him on his trailblazing journey to several CNR and CPR branchlines in early July 1957. Then, like Rehor and Wood, you’ll feel beckoned to explore the wonderland depicted in Harwood’s photographs. You’ll scrutinize railway time tables and maps as you plan follow-up trips. 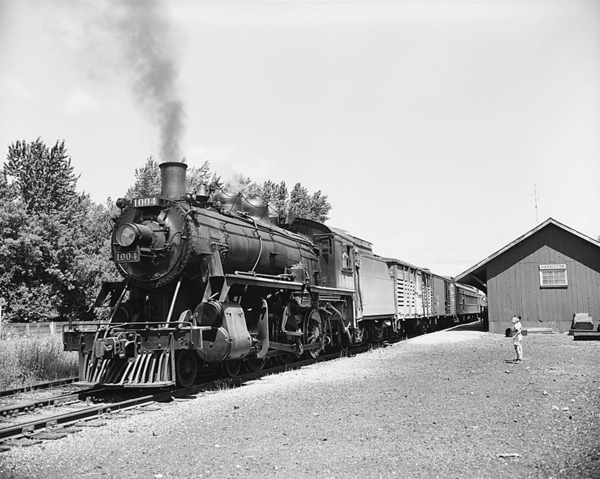 Three weeks after Harwood’s initial foray, you’ll set out with Rehor and Wood on a grand mission to experience more steam railway action in Ontario. Over the decades, you’ve seen a smattering of the images Rehor, Wood and Harwood took on their trips to Ontario in 1957. Perhaps in Trains magazine or Canadian Steam! You might have perused Don Wood’s Locomotives in My Life or the engaging Magnetic North by Roger Cook and Karl Zimmerman. And you’ll have seen portfolios by Rehor, Wood and Harwood in Ian Wilson’s Canadian Branchline series. But nowhere will you find a complete chronicle of the photographers’ 1957 search for steam in Ontario in a single volume—until now. Speed Graphics and Steam 1957! offers you the story of trips you’d take in a heartbeat were they offered today. Coupled to the excellence of the images between the covers of Speed Graphics and Steam 1957! is Ian Wilson’s account of the photographers’ journeys. You’ll immerse yourself in the depiction of wondrous days trackside. The rush of excitement on a station platform at train time, the dimness of roundhouses, the crunch of ballast underfoot along a right-of-way. 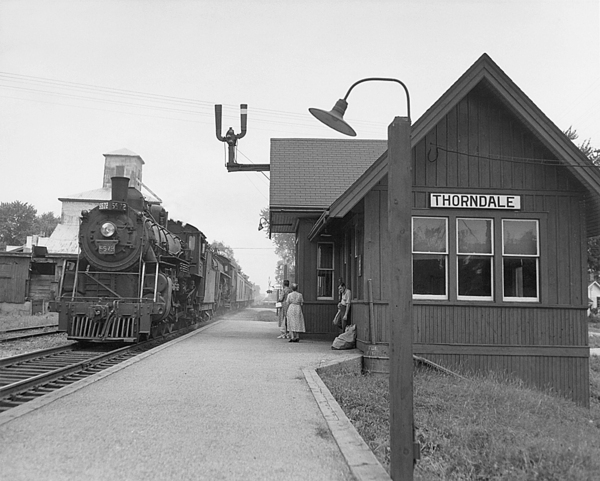 And the author will put the 1957 Ontario railway scene under a microscope for you. He’ll interpret the subjects the wayfaring photographers preserved on film—a big-picture view beyond even their knowledge at the time. You’ll grasp how their fleeting vignettes fitted into the North American railroad mosaic. The locomotives and their assignments, the trains and their schedules, the CNR and CPR branchlines—the fascinating nuts-and-bolts of steam operations—will become familiar to you. You’ll want to linger in that world depicted between the covers of Speed Graphics and Steam 1957! Before long, you’ll hear steam whistles ringing in your mind. You’ll swear that you smell coal smoke! That’s because you won’t have been just reading and looking at pictures—you’ll have been there, living the experience! You’ll have been back in time. 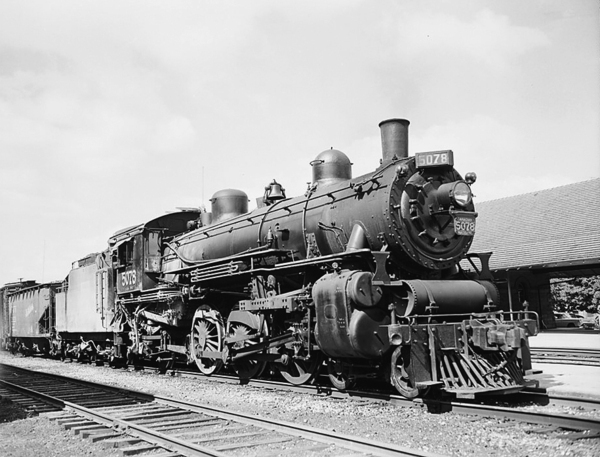 Are you a steam railroad historian? You feed your fascination by studying books, artifacts, photographs, paper records. The research is pleasing. 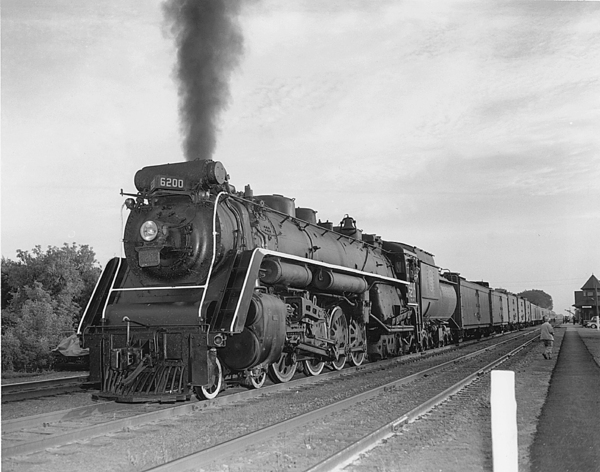 But you’d trade the archival exercise in a heartbeat for even one day trackside in the steam era! A day when the engines burst to life before your wondrous eyes and ears. And, you know what? You’ll have that experience while reading Speed Graphics and Steam 1957! Are you a prototype modeller? Then you need inspiration to create accurate miniatures of 1950s locomotives, rolling stock, structures, lineside details and scenery. What better way than through a book brimming with photographs! You’ll be delighted to pore over Speed Graphics and Steam 1957! The author, a prototype modeller himself, has chosen the pictures for their richness of detail. The volume may find a home at your workbench or beside your model layout. Many readers pounce on two copies—one to be thumbed at the workbench, the other to stay mint in the personal library. Are you a student of 1950s steam operations? Then you are interested in how the railroads actually worked. You want to know how operating crews did things, the intricacies of switching at a terminal, the ritual of servicing a steam locomotive. Speed Graphics and Steam 1957! will deliver to you the subtleties and nuances of such operations. The author has interviewed former railway employees—most all now departed—to choreograph the mechanics of the steam era, and put that knowledge at your disposal. Do you long for the simpler times of the 1950s? In today’s rapidly-changing times, you treasure permanence. Speed Graphics and Steam 1957! will be as reassuring to you as the sound of a distant whistle—an echo of a time when the business of the country was handled by railroads, when life revolved around the comings and goings of trains. You’ll spend hours immersing yourself in the world depicted between the covers. Poring over pictures, reading captions, imprinting your mind with scenes of a bygone era. Secure your copy of this limited-edition hardcover now, so you can escape to that wonderful world whenever you choose. Have you ever searched for remnants of the steam era—where the roadbed used to be, where a station stood, the buried foundations of a roundhouse? Among the urban sprawl and development of the present day? 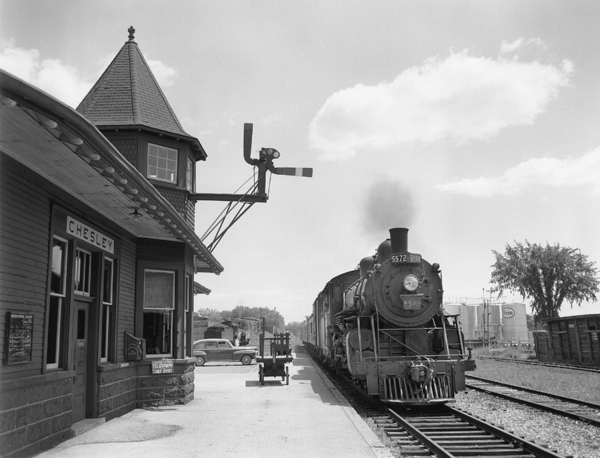 Take Harriston Junction, for instance, depicted on the cover of Speed Graphics and Steam 1957! That’s where the CNR’s Owen Sound Subdivision and the CPR’s Teeswater branchline crossed. You could visit that spot with a copy of the book in your hands. While there, you would study the cover picture. Then, you’d raise your glance to your surroundings. And you wouldn’t even see tracks. The world depicted in Speed Graphics and Steam 1957! doesn’t exist anymore. A big steel building and nearby residential subdivision have obliterated all evidence of the scene depicted on the cover of Speed Graphics and Steam 1957! You could stare at the 1957 picture all day, but you couldn’t reconcile it with the appearance of the current day. Just about every visual reminder of the past has been obliterated. And that goes for pretty much any location depicted in the book. You just can’t walk out the door and recreate a 1957 scene. That’s a bit depressing, isn’t it? 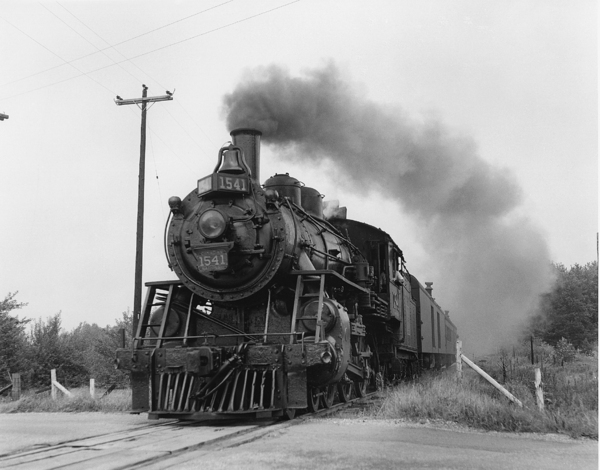 And even when you see a steam locomotive running in this day and age, so much is missing. There are no telegraph poles, stations, water tanks, trackside industries. Little remains of the engine’s natural habitat. She is a relic from the past, a fish out of water. The world of the 1950s is gone. And that’s sad, where your interest in steam railways is concerned. So, what can you do? One sure way to visit the past is through Speed Graphics and Steam 1957! In turning the pages, you’ll see a long-lost world through the lenses of John Rehor, Don Wood and Herb Harwood. Just ponder for a moment the adventure of riding along with them. 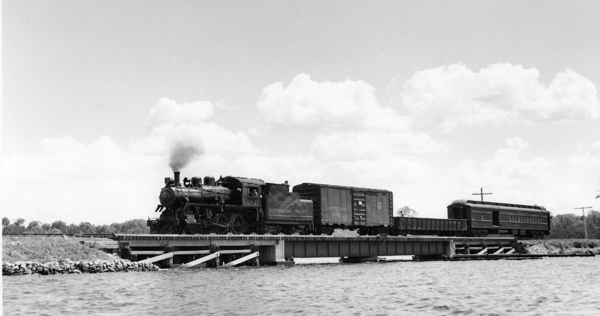 Roaming Ontario under blue skies during the summer of 1957, when the trains are steam-powered! Can you imagine that? Living the dream of the photographers. 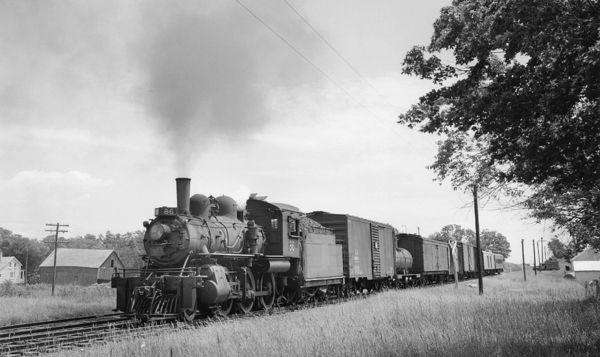 Searching for—and finding—steam locomotives. Between the covers of Speed Graphics and Steam 1957! the branchlines are in service and steam engines run. The best part is, you don’t have to drive a mile to take that epic journey! You don’t need to pack a Speed Graphic or worry about changing film plates. There’s no need to roar down gravel roads to beat the mixed train to the crossing, so you can set up for a photograph. No, you just have to sit back in your favourite chair and open the cover of Speed Graphics and Steam 1957! Then escape on the railfan adventure of a lifetime. You deserve the best in print reproduction when you leaf through a pictorial history of steam railways. Details—a sand pipe under a drive wheel, a brake cylinder beneath a boxcar, stencilled lettering on an express wagon—matter to you. Pinch a leaf of Speed Graphics and Steam 1957! and you’ll appreciate the 80 lb. gloss paper—acid-free and of archival quality. The pages will never fade, the pictures will never lose their sharpness. And you expect nothing less. A few years ago, we put our books to the test, to ensure you were getting the highest standards. We entered our first title, Steam at Allandale, in the Gallery of Superb Printing. That’s the annual showcase of the International Association of Printing House Craftsmen, staged “in recognition of printing excellence”. The Gallery presented Ian Wilson with a rare Gold Award for “Superb Craftsmanship in the Production of Steam at Allandale”. In the years since, we’ve changed no specifications. Speed Graphics and Steam 1957! carries on the outstanding production quality you expect in every volume. You’ll notice the precision folding and sewing of the paper, signature by signature, when you examine your copy of Speed Graphics and Steam 1957! A thick and sturdy 100-point vellum board cases the pages. There are head and tail bands, alternating-coloured threads near the spine, which are the hallmark of a quality product. You’ll notice the title stamped in gold foil on the cover. Inside, you’ll see 100 lb. opaque endpapers affixing the case to the sewn signatures. Enwrapping your copy is a 100 lb. gloss dust jacket, with a gloss overlay—to ensure your book will retain its shine. We think it matters to you that your copy of Speed Graphics and Steam 1957! will have been printed and bound in Ontario, Canada—not offshore. The printer is a generations-old, family-run business. Matter of fact, the company was once housed in a steam-era factory, with arched doors and windows, along a CPR spur in Guelph. Their new plant is—wouldn’t you know it—a stone’s throw from the CNR line to Stratford. 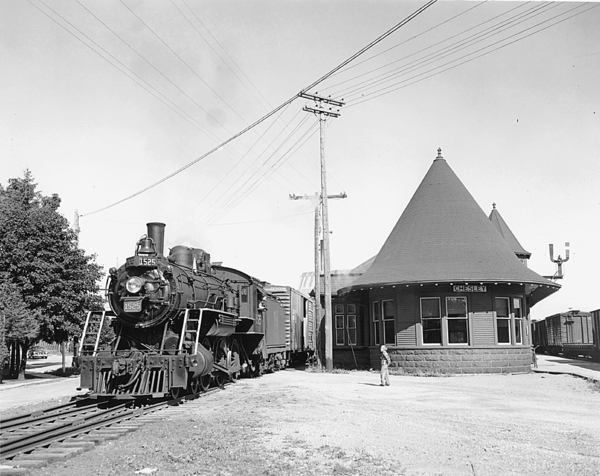 And the century-old, family-run bookbindery (where your book is assembled from the printed press sheets) resides in Campbellford—once served by a CNR branchline. You may be wondering about the prominence of Speed Graphic in the title of this book. That’s because all the pictures were taken by a Speed Graphic—the most famous press camera of the 20th century. These units had fast lenses and used large format film. They delivered portraits second to none. But they also had limitations—which work to your advantage as a reader of Speed Graphics and Steam 1957! Today’s digital cameras allow a user to “spray and pray”. But our 1957 photographers did not enjoy the luxury of clicking multiple views in quick succession. The Speed Graphics employed by John Rehor and Don Wood (4” x 5” film size) and Herb Harwood (2-¼” x 3-¼”) required considerable labour. That meant changing film holders, cocking shutters, manually adjusting focus, and preloading film plates in the dark. Forethought was paramount. 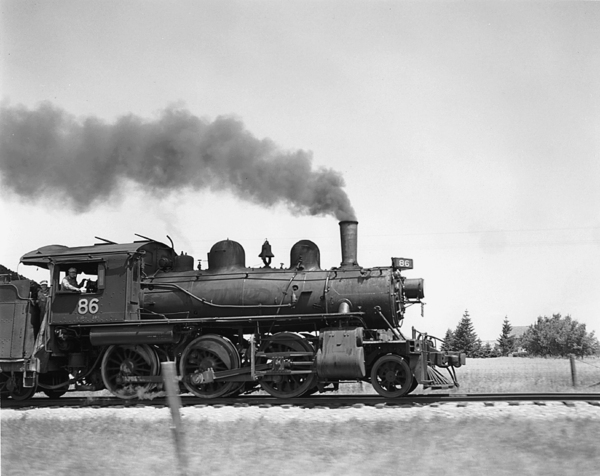 With the steam locomotive pounding toward them, they could only take one or two pictures. Rehor, Wood and Harwood had to anticipate the action and get the perfect exposures. It turns out they did—as you’ll see. Speed Graphics and Steam 1957! offers you a moving pictorial narrative of steam locomotives and branchline trains against the railway landscape of the 1950s. You’ll not find a better depiction anywhere. 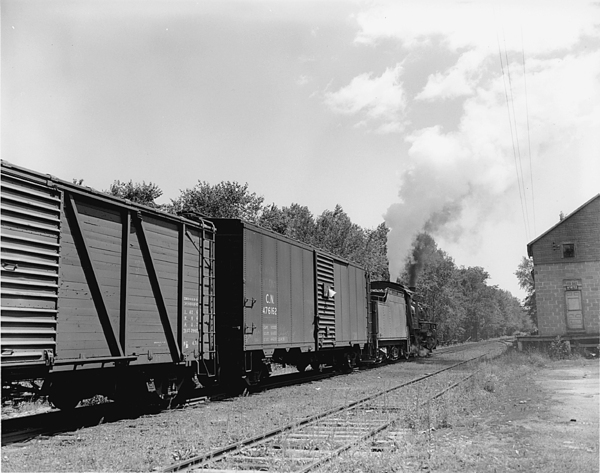 You’ll notice that Don Wood typically took a pair of shots (most 4” x 5” film holders held two plates) of a moving train—one approaching and one going away. 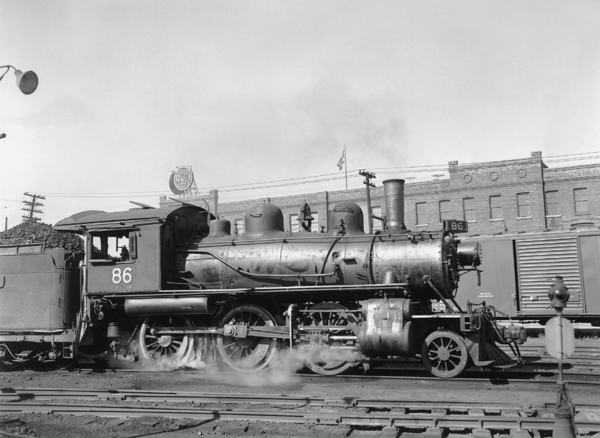 John Rehor often made a single exposure combining the locomotive or train with a station, water tank, bridge, freight shed, industry or scenic element. That choice was a departure from the 3/4 “roster shot” emulated by steam photographers. Herb Harwood composed his views with the locomotive or train anchored in its natural habitat—every time you examine his portraits, you’ll spot a new detail. There are two ways you can order your signed copy of Speed Graphics and Steam 1957! Print and fill out our mail order form and send it to us with your cheque/check or money order. Or pre-order online here. The price is $69.95 (in Canadian or U.S. funds as applicable) plus GST (for Canadian orders only) and shipping. You have dozens of railroad books in your library. And there’s always room for one more. But make sure Speed Graphics and Steam 1957! will occupy its rightful place on your shelf by pre-ordering your copy. The volume of the press run was determined by pre-orders. The quantity of books printed is fixed. There's no going back for a couple more once we exhaust our supply! Avoid disappointment—be assured there is a copy of Speed Graphics and Steam 1957! with your name on it, destined for your mailbox. You don’t want to be scrounging for one after all are spoken for. Just imagine going across town to borrow your friend’s volume every time you want to look at the book!